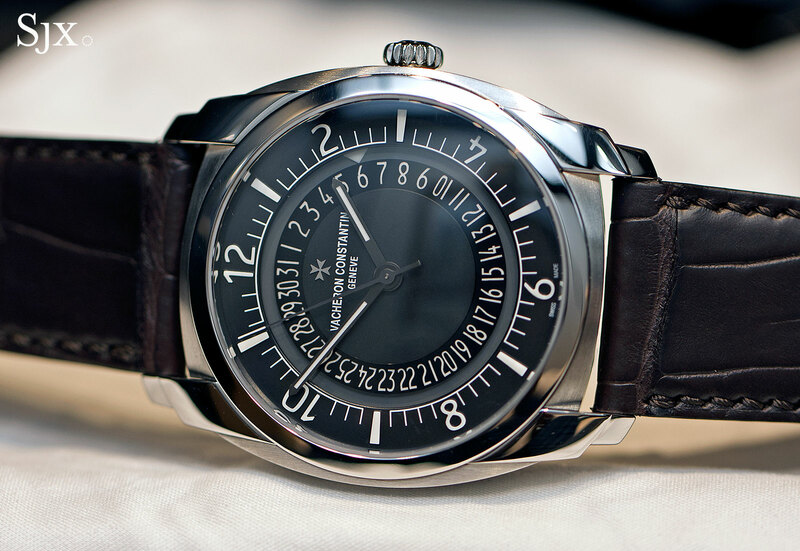 In steel for the first time, the Vacheron Constantin Quai de l’Île has been simplified and made more affordable than ever. Conceived as an entry-level product, the new Quai de l’Île in stainless steel succeeds by being Vacheron Constantin‘s most affordable wristwatch. It has the look of the far more expensive and fancier Quai de l’Île of 2008, but only just. While the premise of the original Quai de l’Île was complex, multi-part construction for the case and dial (plus extravagant packaging), the steel Quai de l’Île is divested of all the superfluous bits to lower the price. Some compromises had to be made to get there, but the result is appealingly priced. To start with the 41mm case is stainless steel (the cheapest option before was titanium or palladium) and cleanly, but simply, executed. 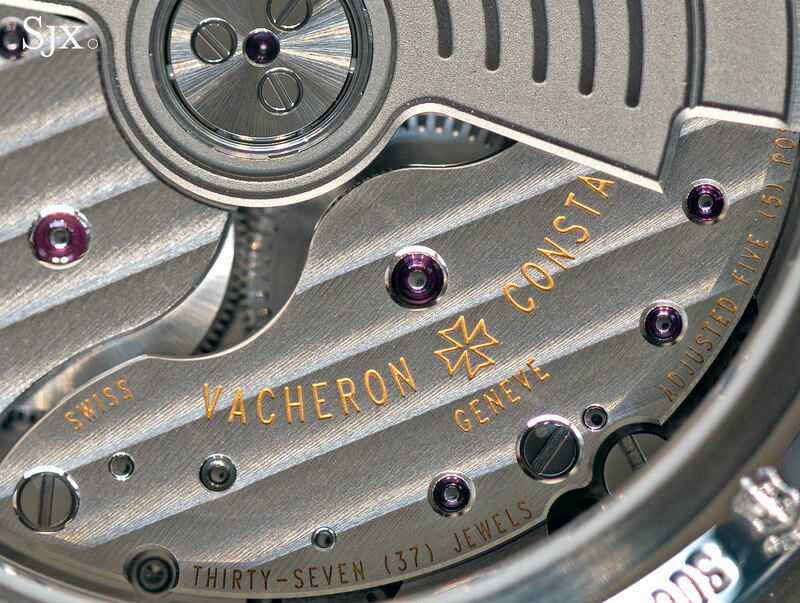 The lugs, which are separate pieces secured with screws inside the case, are polished, while the case middle is brushed. That provides contrast and a feel of quality, though the softish edges of the lugs lack sharpness and precision. 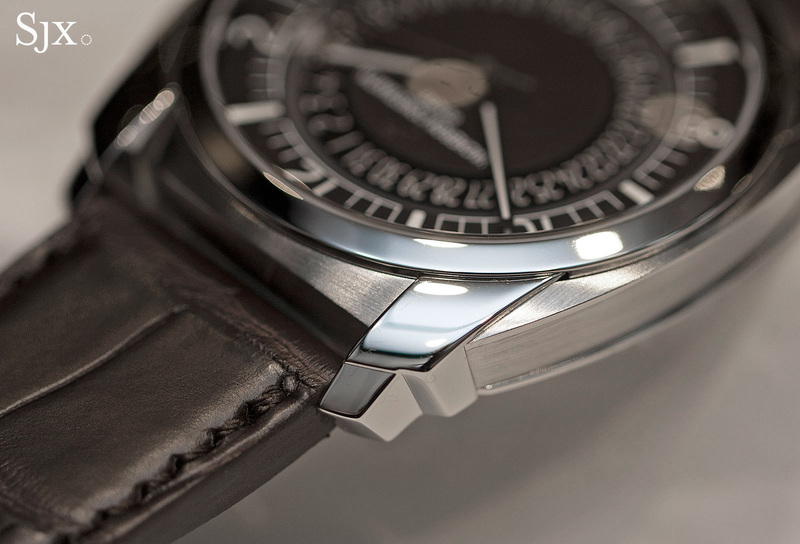 Legibility is good, despite the unconventional date indicator that’s a small triangle travelling around the dial. The triangle is printed on a transparent mineral crystal disc, instead of more expensive sapphire. Overall the dial looks subdued, with printing markings and embossed hour numerals, though the applied Maltese cross logo is a nice touch. The calibre 5100/1 inside is mechanically identical to the one inside the new Overseas, but minus the gold rotor of the Overseas. Instead the rotor is an alloy (probably brass) with a frosted finish that looks somewhat industrial. 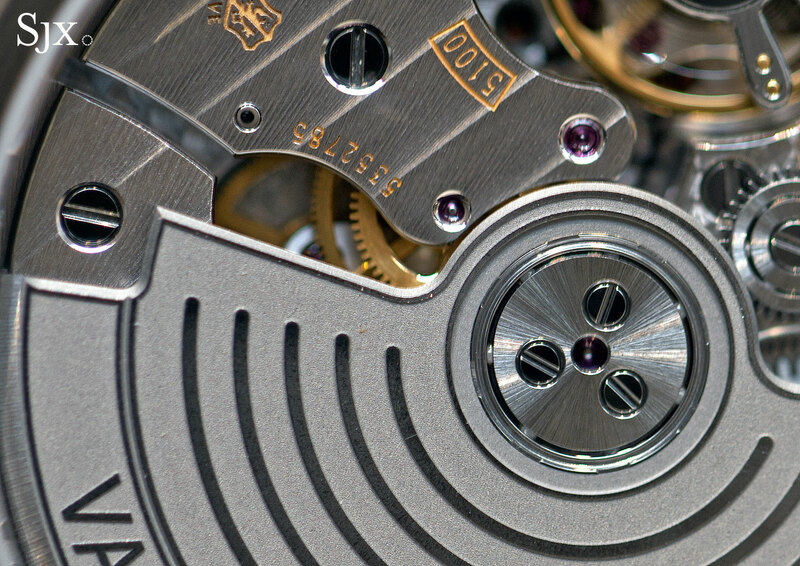 The rest of the movement, however, is appealingly finished, with polished countersinks and edges on the bridges. It’s clear most of the effort in production went into the movement. 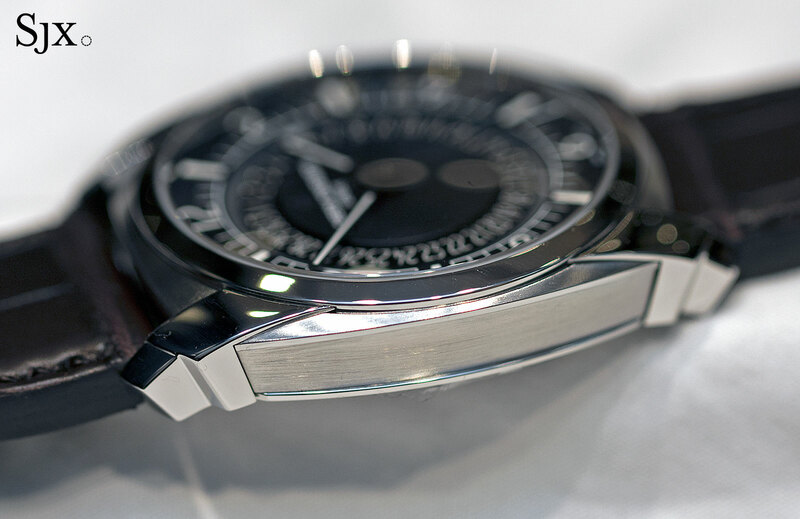 Already available in stores, the steel Quai de l’Île is available in two variants: silver (ref. 4500S/000A-B195) or black (ref. 4500S/000A-B196). The price is the same for both, US$14,900, €13,500 or SS$23,200. That’s half the price of the first generation Quai de l’Île in titanium, though this lacks the expensively outfitted look of the original Quai de l’Île. 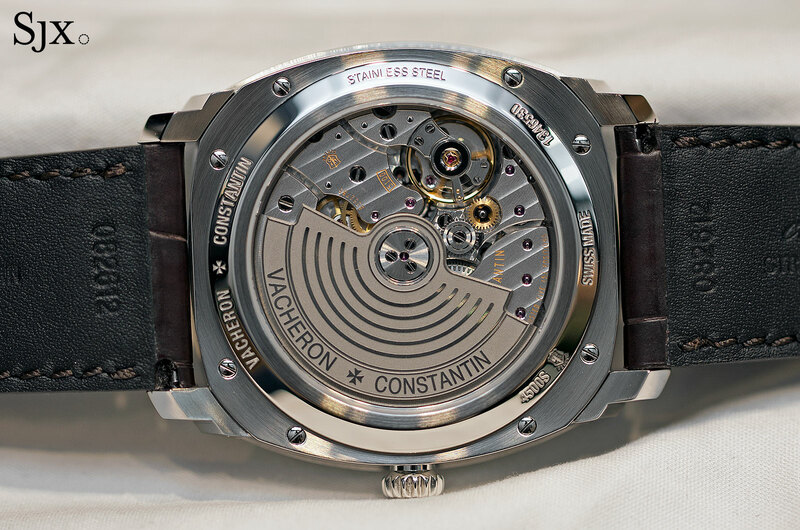 While affordably priced relative to everything else that Vacheron Constantin offers, the speed and ferocity of the competition moving downmarket (like Lange’s new Saxonia Thin 37mm) means this has stiff competition. 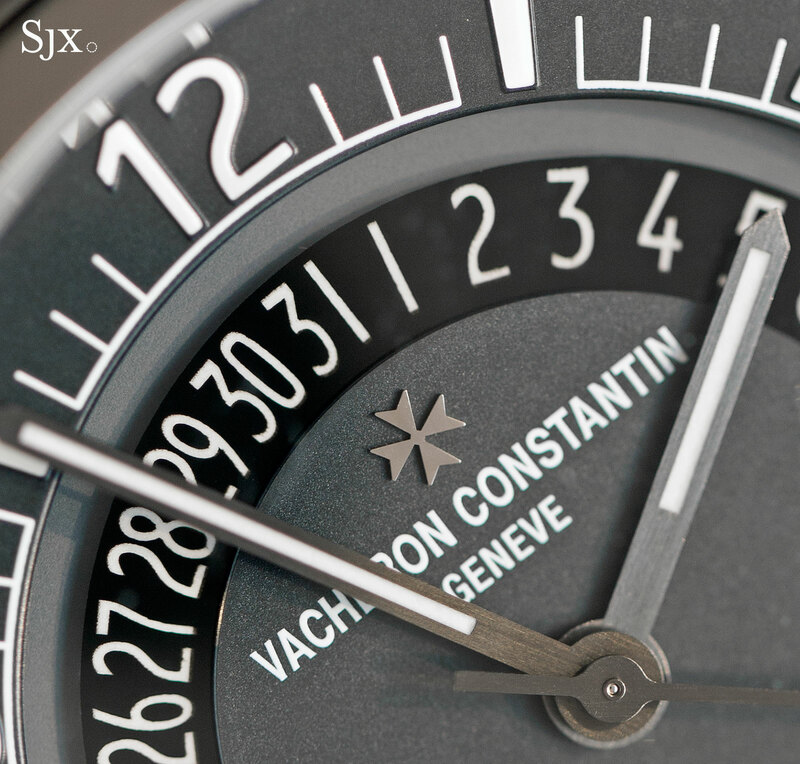 Vacheron Constantin's Quai de l’Île is now more affordable and sporty in its latest stainless steel guise, the ref. 4500S.